If you have a less-than-ideal credit score, there are a few steps you can take [and ones you should avoid] to help improve your score. If a recent credit application of yours has been denied, find out why. Each of the three major credit reporting agencies are required to provide you with a complimentary copy of your credit report once a year, upon request. To order yours, visit annualcreditreport.com. You are also entitled to a copy if an adverse action like this happens [as long as you request it within 60 days of the notice]. There is no “quick fix” for creditworthiness. 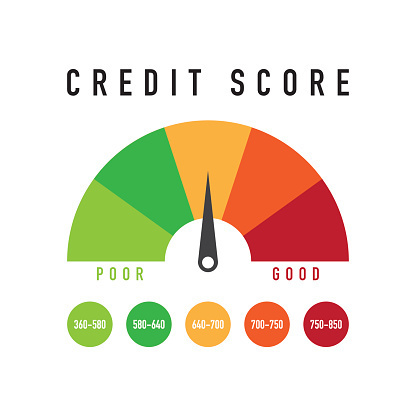 If a credit repair company promises to increase your score by 100 points in less than a month, don’t believe it. There are legitimate credit repair companies, but there’s nothing they can do for you that you can’t do on your own. If you spot incorrect information on your credit report, dispute it in writing. Clearly identify every item you are disputing and the reasoning. Include copies of documents that support your stance and ask that the errors be corrected. Send it by certified mail and keep a personal copy of your entire letter for your own records. You’ll also want to dispute the charge with your actual creditor. It may take upward of 30 days or more for your account to be updated and your score to improve. Once you’ve determined that your credit report is accurate, take a careful look at which habits are generating the unfavorable score. If you’re consistently late with credit card payments, consider setting up automatic bill-pay so you’re never late. If your debt isn’t going anywhere, rethink your spending habits. Trim your expenses wherever possible and never shop with credit cards. If your debt has become unmanageable, consider debt consolidation or a balance transfer to a card. You can also consider contacting creditors to work out a more reasonable payment plan. Here at Earthmover Credit Union, we’re all about helping you manage your finances. If you’re in financial trouble of any kind, stop by today to talk with one of our Financial Service Representatives. We can help consolidate your debt and assist you with creating a manageable budget. We even offer debt consolidation loans, providing you with the opportunity to transfer your debt to one low-interest loan, making the prospect of paying down your debt a lot more feasible.